Social media marketing is a process of gaining traffic or attention through social media sites. Social media marketing is used to promote a product or service through social media platforms. You can promote your business by enhanced brand imagining and user engagements. Now the main question arises is how you can make more people visit your page and keep them engaged with the contents. Make a Contest Happen: People love to play contests. You must run regular contests on your Page to draw your audience’s attention. Make them do something which in turn will help you to get business growth like sharing, liking and commenting on a post to enter the contest. Your audience will keep visiting your Page to see whether the winners are announced. This is the best way to have more people engaged with your Page. Have Facebook Ad in Place: The best way to reach targeted audience is to invest in Facebook ads. Facebook ads will make the users aware of your posts so that they can visit your Page and you can have proper engagement of your audience. Pools & Surveys: By asking simple questions like what they want from you, what they want you to post about etc. you can make the talk about them as People loves to talk about themselves. You will get the desired Facebook page engagement by adapting this trick. At the same time you will also get to know about your customer expectation. Conducting regular Pools and Surveys on your page will ensure the desired engagement on your Facebook Page. Ask Followers to Act: Unique and creative content will allow people to read your content but not necessarily they will take any action. So call them to take action by liking, sharing and commenting on your posts which will ensure enhanced engagement of People on your Page. Enhance the Visual Feature of Your Page: A dull and unpleasant page will not draw attention of Audience. To attract audience your Facebook Page should be visually pleasing. Use of relevant pictures and visual materials on your Page will ensure best of engagement of your audience. Give them a pleasant visual treat through an attractive and beautiful Page. Look at What Competitors are Doing: You must study properly about what your other competitors are doing to increase engagement on their Facebook page. Do something different than your competitors so that people feel attracted towards your site instead of your competitors site. Your content should be more useful, interesting and creative to draw attention of your customers and this will definitely ensure better engagement. Draw Traffic From Another Source: There are different other social media sites available such as LinkedIn, Quora , Twitter, Pinterest or Instagram. You can use these sites to increase traffic on your Page. You can paste your Facebook page link in the content you publish on other social media platforms and can enjoy enhanced activity. Experiment With Content Delivery: We just discussed that your content must have videos and images but this is not the end. You have to make your content visually appealing but in a different manner than what others does. For an example You can change your whole content in video rather than posting it in words. Use of original photos of your products rather than pasting stock photos in your content can be a good idea. Determine the Frequency of Posting: You should determine the frequency of posting your content along with the quality of content. How often should you be posting? What would be the right frequency of posting? There is no hard and fast rule for this. It depends on your business needs. Keep a track on the frequencies of your posts and change that if required. Post Keeping in Mind the Perfect Timing: The timing of your posts should be determined by keeping in mind your targeted audience. Your timing of posting should be when most of the people are online so that the can view your post and you can have them engaged on your Page. This will surely help you in getting desired engagement on your Page. The above tricks will definitely work if implemented properly. Use the above tricks and make people engaged with your Facebook page. 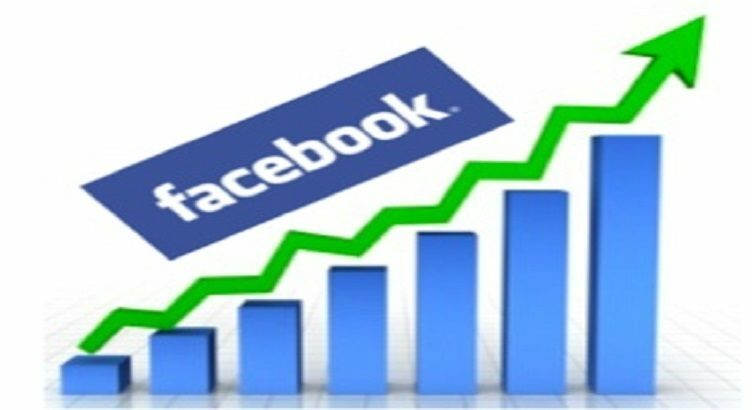 If there is urgent and you need to boost facebook page engagement immediately, you can buy facebook likes.